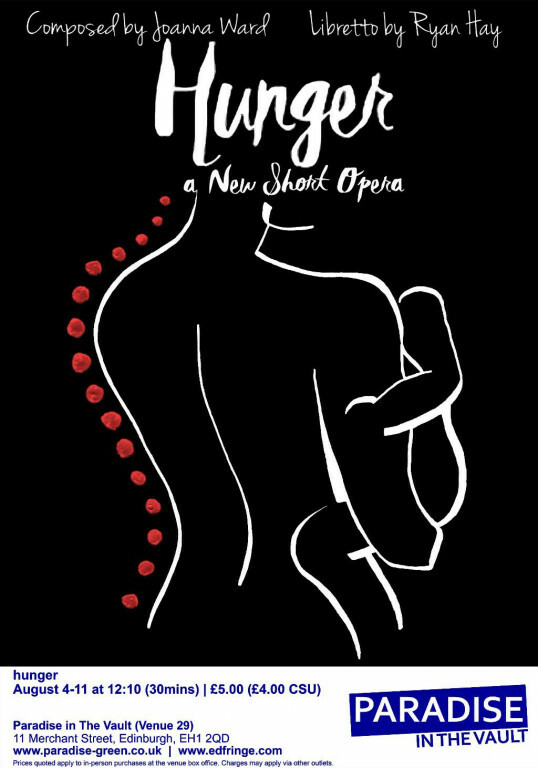 'hunger' is an original short opera, written by Joanna Ward ad Ryan Hay. The piece explores the identity, and struggle, of the female artist in the modern art world. It had its premiere in London in November 2017, and we are very excited to now be taking it to the Edinburgh Fringe! If the home can be an art object, how can anyone assert that a woman ought to be a homemaker instead of an artist, if those two can be one and the same? This became our Artist’s project – she strives for aesthetic beauty every day in her performance of this domestic life, and in doing so tries to defy any reductive categorisation as ‘mother’ or ‘wife’ or ‘homemaker’. But the performance can’t continue without an audience. As her agent the Impresario explains, with public interest waning in the piece, it risks ceasing to be art at all, if nobody is there to behold it – paintings can go in a gallery; a life can’t.